Paris, France — In a surprising admission during last month's three nation European speaking trip, Mormon president Gordon B. Hinckley stated that the Christ he believes in is not the same Christ as the one followed by those outside the LDS Church. 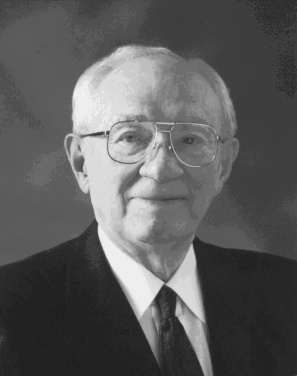 Hinckley quoted unnamed critics of the LDS Church who claim that Mormons do not believe in the traditional Christ and then he agreed with them. The LDS Church News reported: "In bearing testimony of Jesus Christ, President Hinckley spoke of those outside the Church who say Latter-day Saints 'do not believe in the traditional Christ. No, I don't. The traditional Christ of whom they speak is not the Christ of whom I speak. For the Christ of whom I speak has been revealed in this the Dispensation of the Fulness [sic] of Times'" (June 20, 1998, <http://www.desnews.com/cgi-bin/libstory_church?dn98&9806210091>). Despite this major difference on a pivotal doctrine of the Christian faith, Hinckley maintains that he is a Christian. "Am I Christian?" Hinckley asked rhetorically, "Of course I am. I believe in Christ. I talk of Christ. I pray through Christ. I'm trying to follow Him and live His gospel in my life" (Ibid.). Christians should ask, "Which Christ?" The Bible warns of false teachers who promote "another Jesus whom we have not preached" (2 Corinthians 11:4). The Apostle Paul warned the Corinthians not to believe everyone who preached "Jesus." The true Jesus was based on the tradition of apostolic preaching — the Jesus "we preached." Paul compared the preaching another Christ outside of that tradition with the deception of the serpent in the Garden of Eden (2 Corinthians 11:4, Genesis 3 1:4–5). In the same context, Paul warned the Church to beware of "…false apostles, deceitful workers, transforming themselves into the apostles of Christ" (2 Corinthians 11:13). Christian creeds contain the basic beliefs of traditional Christians — including what they believe about Christ. Christians claim that their creeds are based solely on the Bible. Furthermore, the authority of the creeds rests on their underlying scripture. Because the creeds are derived from and dependent on biblical data, there is a remarkable uniformity between the creeds of various denominations and churches. This is especially true on the essential doctrines such as the Person of Christ. Unlike the traditional Christian view of Jesus based solely on the Bible, Hinckley's Christ is based to a large extent on extra-biblical revelation. It is not surprising then to find significant differences. Hinckley notes this important distinction: "For the Christ of whom I speak has been revealed in this, the Dispensation of the Fulness [sic] of Times. He, together with His Father, appeared to the boy Joseph Smith in the year 1820, and when Joseph left the grove that day, he knew more of the nature of God than all the learned ministers of the gospel of the ages" (LDS Church News). Additional Information, or Actually Another Jesus? It is interesting that Hinckley states that the beliefs of traditional Christians were so different than that of Latter-day Saints, that their traditional Jesus "is not the Christ of whom I speak." It is not just some different information about the same Jesus but a completely different Jesus. This is a quite rare confession in recent Mormonism. Early Mormon leaders were quite candid about the differences between LDS doctrine and Christian doctrine. One example is the 1820 First Vision account Hinckley cited which is also recorded in LDS Scripture. In relating this vision, Mormon Church founder, Joseph Smith, makes a similar point to Hinckley's. Smith said that Jesus told him that all of the creeds of existing Christianity were "an abomination in his sight." These Christian creeds would, of course, include those that describe the essential attributes and identity of the Jesus worshipped by traditional Christians. As Hinckley observed, Joseph Smith's first vision introduced a completely different understanding of God's nature and an entirely distinct concept of Jesus — in fact a different Jesus — than the one worshipped by "all the learned ministers of the gospel of the ages" (Ibid.). One may still find today, for sale in LDS bookstores, similar examples of candor in books written by General Authorities. In most cases, however, they are old publications written by former Mormon leaders. Although they are rare, there are similar statements by LDS leaders in the last twenty-five years. For example, Elder Bernard P. Brockbank, of the First Quorum of the Seventy, speaking from the Tabernacle in Salt Lake City during General Conference quotes a June 18, 1976 London Times article that states in part, "In fact, there is good reason for regarding them as a new religion rather than as another variety of Christianity…. the Christ followed by the Mormons is not the Christ followed by traditional Christianity." Elder Brockbank then adds a very frank admission: "It is true that many of the Christian churches worship a different Jesus Christ than is worshipped by the Mormons or The Church of Jesus Christ of Latter-day Saints. For example from the Church of England's Articles of Religion, article one, I quote: 'There is but one living God, everlasting, without body, parts, or passions….' We cannot obtain salvation and eternal life by worshipping fake Christs…. The belief that God has no body parts, and passions is not a doctrine of Jesus Christ or a doctrine of the holy scriptures but is a doctrine of men, and to worship such a God is in vain" ("The Living Christ," Ensign, May, 1977, pp. 26–7). But Brockbank's frankness may be the exception that proves the rule. LDS Apostle Bruce R. McConkie was one of the last LDS leaders to openly state that the Christ of traditional Christianity was different than the LDS Christ, and false. Also citing Joseph Smith's First Vision, McConkie said Christians worship "false Christs." He specifically named Methodists, Presbyterians and Baptists and included all Christianity by implication. "But in a larger and more realistic sense, false Christs are false systems of religion that use his name and profess to present his teachings to the world. The cries, 'Lo, here,' and 'Lo, there,' which went forth in Joseph Smith's day, when 'some were contending for the Methodist faith, some for the Presbyterian, and some for the Baptist' (JS–H 5), meant that each group of gospel expounders was saying, 'Lo, here is Christ; we have his system of salvation; ours is the true church; we know the way; come, Join with us'" (Bruce R. McConkie, The Promised Messiah, p.324). Since McConkie's death in 1985 such statements by General Authorities are very rare. They have not repealed these teachings — they continue to publish the older books and Scriptures where the doctrines are clearly taught. Mormon leaders, however, are not prone to publicly repeat or emphasize their belief that all traditional Christian doctrines are an abomination, and that Christians worship a different, and wrong, Jesus. Today one is more likely to hear Mormons say that they believe in Jesus "too" — but have some additional information. They may point out a few historical differences (such as Christ's visit to America recorded in the Book of Mormon) but ignore big differences — the fundamental issue of Christ's very nature and essential attributes. Reflecting this newer attitude, the notion that the Mormon Jesus is different than the Christ of traditional Christianity is dismissed by the Encyclopedia of Mormonism as simply one of many anti-Mormon misconceptions. "A broad spectrum of anti-Mormon authors has produced the invective literature of this period. Evangelicals and some apostate Mormons assert that Latter-day Saints are not Christians. The main basis for this judgment is that the Mormon belief in the Christian Godhead is different from the traditional Christian doctrine of the Trinity. They contend that Latter-day Saints worship a 'different Jesus' and that their scriptures are contrary to the Bible" ("Anti-Mormon Publications," vol. 1). Brigham Young University professor Dr. Stephen E. Robinson attempts to further blur the distinction between the LDS Jesus and the traditional Christian Jesus. According to Robinson, those who claim Mormons have a "different Jesus" are not honestly dealing with real issues but only playing tricks with language. Robinson argues that, "Evangelicals often accuse Latter-day Saints of worshiping a 'different Jesus' because we believe some things about Jesus that cannot be proven from the Bible…. This charge that people worship 'a different Jesus' if they disagree over any detail of his character or history, is simply a rhetorical device, a trick of language" (Craig L. Blomberg and Stephen E. Robinson, How Wide the Divide?, pp. 136–37). With apparent reluctance, Robinson confesses in a footnote, "Unfortunately, some Latter-day Saint authors have also resorted to this rhetorical device in describing 'the false Jesus of the apostate sectarians' and the like" (Ibid., p. 220). Unfortunately for Robinson, he is clearly out of harmony with the Prophet and President of his church. President Hinckley does not appear to regard this as a mere "rhetorical device" or some attempt to play "a trick of language." Far from it! Hinckley even cited Joseph Smith's First Vision found in Mormon scripture, as proof of his contention that his Jesus is a different Christ than the Jesus of historical Christianity. This may be one of the few times that evangelical Christians can agree with the leader of The Church of Jesus Christ of Latter-day Saints. Indeed, the Mormon Jesus is a "different Christ." It should be hoped that Robinson and all others would see this distinction also.